You probably are being promoted to in order to enroll in the Lurn Summit 2.0 by Anik Singal, which has already taken place during May 2018, and you are wondering why is it still being promoted, and why are you supposed to pay its price ($1). 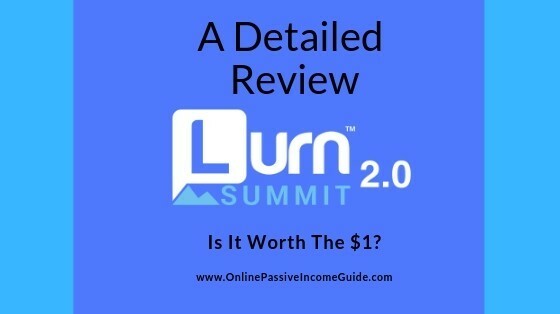 Join me in this detailed Lurn Summit Review in order to see what you get if you enroll in it now and to see if there’s really any value in return to the one dollar you will pay or not. Just to show you that I actually purchased the summit after it had already taken place, the following is a screenshot from the confirmation email that I received when I purchased it during January 2019. You can see my name as well. Also, this receipt includes purchasing the Lurn Insider program as an up-sell for 0 dollars for the first 21 days. I will give you a detailed review below of what I received for the $1 and will tell you if it is worth the investment of your TIME or not, as the $1 is almost negligible. In brief, Lurn Summit is an online summit that took place (Live) in the form of multiple webinars over two days (16 hours) during May 2018. And now, you can pay the $1 in order to get access to the replay of all of those webinars. The webinars talk about different topics when it comes to entrepreneurship and mindset, internet marketing, e-commerce, online business opportunities, copywriting, and some other useful stuff. Some are high level or general information, and some are pretty useful for beginners and advanced people in this space. In addition to that, expect to receive many promotions to buy some high-ticket programs by Anik and his Lurn Academy. But that’s ok when you compare it for the value you will get for the $1 investment. The webinars took place over the two days and covered different topics from experts in their field such as: Bob Proctor, Robert Kiyosaki, Kevin Strawbridge (CEO of ClickBank), and many others. 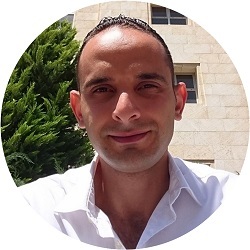 Introduction by Anik Singal: This is a guide about how to get the most benefit out of the whole summit. How to RESET Your Mind & Breakthrough by Bob Proctor: This is, in my opinion one of the three most valuable webinars in the Lurn Summit as it talks about the importance of having the right mindset in order to succeed as an entrepreneur and in any business. This is important as one of the main reasons that many entrepreneurs fail is because they don’t have the right mindset. Invest in YOU – The Power of Personal Coaching by Anik and one of his team members (Jeremy Bellotti): This webinar talks mainly about the importance of having a personal coach in order to move faster and start the right way since the beginning. Expect it of course to end with a pitch inviting you to purchase one of the paid programs of Anik Singal. The Best Business Models to Start in 2018 by Andrew Lantz (Content Director at Lurn): This webinar gives you insights about the main methods and business models that you can utilize in order to make money online. How to Setup a Passive Income Stream (Part One) by Anik and one of his team members (Dave): This describes of the methods of doing affiliate marketing, the general process and how it works. How to Setup a Passive Income Stream (Part Two): This one is continued to the above one where Anik shows you how to use a tool that they have developed (Blueprint Inbox) in order to do affiliate marketing in an easier way that doing everything by yourself as it was explained in the previous webinar and eliminate the need to learn lots of technical stuff or dealing with many different platforms and save the time on yourself. Of course, you will be pitched to purchase this tool that was used in the demonstration in order to start the first affiliate marketing campaign in twenty minutes. The Billion Dollar Opportunity in Digital Publishing by Andrew Lantz: This webinar talks about the opportunity available in the digital publishing industry such as publishing: Ebooks, Video Training Courses, Audio Podcasts, …etc., what models are most profitable, what platforms to utilize in selling your products, the pros and cons of each, …etc. How to Get Your 1st $2,000 a Month Client by Jeremy Bellotti: This webinar talks in high level about how to start a consulting or coaching business and get highly paying clients. It will also end with a pitch for purchasing a high-ticket training program by Lurn. Ready, Set, GROW – Day 2 Rundown by Anik Singal: An introduction about the components of day-2 webinars. Rich Dad Poor Dad Keynote Interview with Robert Kiyosaki: In this webinar, the entrepreneur and the author of some of the best-selling books about personal finance talks about the main process and steps to take towards getting your financial freedom and what he learned in the long journey he had until he became financially free. This is another great session. How To Sell ANYTHING Using Words by Anik Singal: In this webinar, Anik talks about the importance of building an email list and using email marketing campaigns in online businesses and some tips about how to do it effectively. Also, he talks about the importance of copywriting and what are the main elements and how to write an effective sales copy in order to promote products and programs. This also one of the most important three webinars in this summit and absolutely worth watching more than once. Also, it will end with a pitch of a high-ticket program. The Opportunities in Organic + Paid Traffic by Andrew Lantz: This is a presentation about the main sources of both types of online traffic: Free (organic) & Paid and the main differences between these two main categories. Why Facebook & YouTube Are The Hottest Traffic Sources Of 2018 by Jessica, A Marketing team member at Lurn: This session talks mainly about the importance and benefits of using both YouTube Ads, which are relatively cheap and have a huge volume potential, and Facebook Ads that also have a huge potential and allows you to laser target your audience. It also includes a quick demonstration on how to do the targeting on both platforms when creating ads. How to Spend Time With the Lurn Team In-Person by Anik Singal: This session is to pitch to you a workshop by Lurn that is supposed to teach you Facebook & YouTube Marketing and Copywriting. The Hottest Social Media Platforms in 2018 by Steven, the Associate Content Manager at Lurn: This is a presentation about how to use the organic traffic from social media platforms, you will learn some tips on how to get the best out of these platforms’ audiences. Also, you will learn about the main Q&A platforms such as Quora and Reddit. The Power of Affiliate Marketing by Kevin Strawbridge, ClickBank’s CEO: This is a presentation about the biggest Marketplace for digital products, ClickBank, where their CEO talks about the story of this platform and the vision for its future. He also shares information about the best performing niches for both: sellers and affiliate marketers, and he also shares some tips on how to be successful with digital products, whether you were an affiliate or a vendor. How to Make Money Using Other People’s Followers with Rosalee, one of Lurn’s previous students and current trainers: She talks here about her story with online businesses and talks mainly about the power of Influencer Marketing with a few tips on how to do it. It will end with a pitch to selling you another training program by Lurn. How to Get 100% Free Online Traffic by Andrew Lantz: This is a presentation about how the organic traffic work and mainly, Content Marketing such as: blogging, article marketing and video marketing with tips on how to do each one of them and how to outsource some of the necessary tasks if you want and how to get traffic to each one of them. What’s Next by Anik: This is to conclude and to invite you to join the Lurn platform and start for free. There will be both free and paid courses and programs inside it cover different topics. Some sessions about the mindset and mental skills that you need to develop in order to succeed building your own business. General, high-level information and some in-depth tips about some topics related to online businesses and marketing. Some pitches promoting to you the different training and membership programs at Lurn. Even if these were recorded sessions the time you purchase the program, it is still worth watching and learning from. As I explained earlier, you buy the program, and you watch the replay of each of the session. If you don’t receive the link to the replays, you can contact their support via email and they will send it to you. Many valuable sessions with lots of useful value for only $1. Suitable for beginners to learn about the possibilities and the vast opportunity in the online business world, and for the advanced people as a refreshment to some of the general topics. All sessions were presented by successful entrepreneurs and influencers and by Anik’s key team members. You can watch the replays multiple times without paying an additional cost. If you purchase it through this link, you get the chance to enroll in the Lurn Insider training program for FREE ($0) for the first 21 Days. Lots of pitching to buy their training programs, but that’s understandable for the ridiculously low cost of $1 and with the value you will receive by watching the replays even if you don’t enroll in other programs they offer. Big part of the focus is about doing affiliate marketing using email marketing, which is a great method, but to some extent, it is taught here to be done separately without building a solid online presence, brand and authority, unlike the way you learn with my top recommended platform to learn affiliate marketing, Wealthy Affiliate, which teaches you how to build a brand first and then, you can start building a strong email list that is willing to make you more money. The cost of watching the replays for the Lurn Summit is only $1, one-time-fee, which you can do through this link. If you join it through the above link, you will be offered an up-sell to join the usually paid program “Lurn Insider” for FREE ($0) for the first 21-Days and then, $67/month, and you can cancel anytime. The normal cost of Lurn Insider is $5 for the first 21 days and then $67/month. Another up-sell that you will be offered when you pay for the Lurn Summit is the “10k Formula” for $97, and if you reject the offer, it will be offered again for only $47. What Is 10k Formula By Anik Singal – Lurn? This is a training program that you will be offered as an up-sell if you purchase the Lurn Summit through this link. The 10k Formula by Anik Singal is supposed to teach you how to make $10,000 per month with affiliate marketing leveraging email campaigns and what Anik calls the “Thank You Page Method”. The 10k Formula costs $97 to join, and if you reject the offer, it will be offered as a down-sell for only $47. Conclusion – Is Lurn Summit A Scam Or Is It Worth It? Obviously, Lurn Summit is NOT a scam. Although there’s a lot of pitching to buy other programs by Lurn, it still provides value for beginners and advanced people in the online businesses space. You Can Join Lurn Summit For Only $1Here! However, the information in the summit alone, although is eye-opening, but it is not enough to start your own online business, and you will need one of the programs they pitch to you, which will usually cost you money. And the programs that are pitched are supposed to teach you different ways of making money online, such as: digital publishing, coaching and consulting, affiliate marketing, …etc. However, when it comes to affiliate marketing in particular (which is the best way to make a passive income), they teach you mainly how to do it with email marketing by building your email list leveraging other people’s email lists, which is unsustainable in my opinion. Is There An EVERGREEN 100% Legit Alternative To The Lurn Summit? As I mentioned earlier, if you are willing to build an online business, and especially in the affiliate marketing space, then the main method you will learn at Lurn programs will be through email marketing without building your brand and authority, which still makes money, but is not as sustainable as if you build your online presence and brand first by having your own website, as it is taught in my recommended platform to learn affiliate marketing Wealthy Affiliate. Having your own website or blog, you can create quality content that gets you organic traffic from the search engines like Google, and you can promote to your audience useful products and make commissions as an affiliate if they buy through your link. And after that, you can also build your email list, which will be much stronger this way as the subscribers will see that you have authority and brand thanks to your website, and they will trust you more and will make you more money by purchasing what you recommend to them. While if you do it as Lurn teaches you mainly through getting people to your email list through the paid ads or through solo ads, then don’t expect these people to trust you quickly and start buying what you promote to them. And if you are afraid of building a website, then don’t worry! At my recommended platform, you can build a website in 30 SECONDS only! NO Coding and NO Prior Experience Required! And in addition, Wealthy Affiliate offers both, paid and FREE Starter plan to try it before you risk any money. Following screenshot is from the first level of the core training, which is included in the FREE Starter Membership. With this level, you will learn about what affiliate marketing is and how it works, how to research niches, markets and products, and how to create content that gets organic traffic from Google and content that makes you money. This FREE membership It will also allow you to build your first FREE website in less than 30 Seconds! As I mentioned, what you learn at Lurn regarding affiliate marketing works, but the method that is taught at my recommended platform is more sustainable and stable on the long run. It’s up to you which path to follow. You can join Wealthy Affiliate and try it for FREE through my review here and go through the first FREE ten lessons of the training.